Be Inspired lets boutique owners and fashion entrepreneurs who want to start their own clothing line make high quality handbags for women or mens handbags, even if they don't have a sewing pattern or handbag sample. Check out the process of creating a Be Inspired handbag below. And don't worry - if you get stuck, your MakersValley account manager will be there to guide you through every step of the process! * Update as of January 2019: MakersValley Be Inspired has been discontinued, but you will still be able to use white label factory design samples as the basis for your design listing. For more updates on this change of service, please subscribe to our newsletter or ask your MakersValley account manager. What does white label mean? Good question! 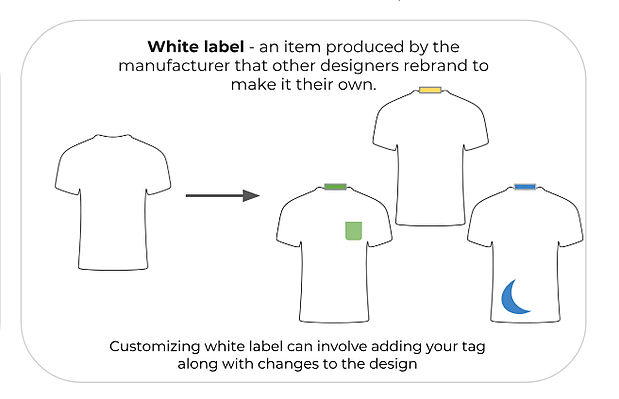 A white label product is an item produced by the manufacturer that other designers re-brand to make their own. For decades, large brands that we all know and love - Versace, Gucci, etc. - have used white label products to accelerate the product development process. What this means is that instead of having to re-create a new pattern every time you want to make, for example, a shirt, you just use the same shirt pattern but with small changes to the shirt to make it seem "unique" and different from the shirt you sold last season. MakersValley uses Be Inspired projects to bring the benefits of white label products to our Makers. A Be Inspired project lets a Maker browse hundreds of Italian-made white label samples on our online platform and use these samples as the starting point for their own private label handbag line. All of the Be Inspired samples in our online Be Inspired Catalog are 100% Made in Italy by our network of 150+ Italian manufacturers, and have already successfully sold to brands worldwide. Now, for the first time, our manufacturers are making them available to you online! You can browse the catalog for free online and order any white label handbag samples that catches your eye. Once you get your order in hand, you can use this sample as the starting point for your own handbag product. To place your sample order, you’ll need sign up for a monthly MakersValley membership plan. We offer three plans to choose from. Shortly after starting your membership, you’ll receive an invoice for your Be Inspired samples from your Account Manager. Once you pay the invoice, we'll ship your samples to you at the mailing address in your profile. Once you receive your Be Inspired handbag sample, log into your account and click Create Project From Sample. Next, to let us know your feedback and changes you want to make to your handbag sample using the online questionnaire. Be sure to check out our FAQ to see a list of the Italian handbag manufacturer’s available handbag customizations for your Be Inspired sample. 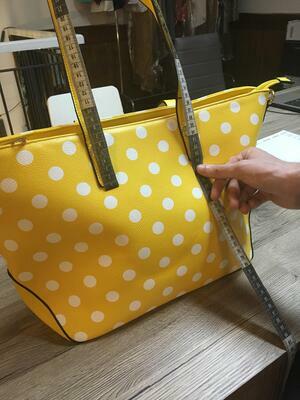 Customizations beyond those listed here will require your manufacturer to develop a new handbag pattern, rather than using the handbag sample pattern as a base. Generally, you can change up the color of the handbag, add/remove the shoulder strap, and shorten/lengthen the shoulder strap. You can use tape to mark each customization on the handbag sample. It’s also helpful to upload photos of your new, customized handbag to your project using your mobile device. Once you complete the questionnaire, a new project will be created in your account with all of the information you provided in your questionnaire about the sample already saved in your project. After you submit your project, your account manager will review it and let you know if any additional information is needed. “How much does it cost to make a handbag?” Good question! Once your project is approved, you’ll receive bids from 150+ Italian manufacturers, within 10 business days, in your MakersValley account. Once you accept the winning bid, your project will match to that manufacturer. Your account manager will send you the invoice to create your first handbag sample. Once we confirm your payment, your manufacturer will start making your first handbag sample. Once it’s ready to go, your Account Manager will send you the shipping invoice. When you receive your sample in the mail (typically in six weeks), give us your feedback on the Platform. Did the handbag come out to your liking? Use the Platform to either approve or reject the handbag sample. Love the bag the way it is? Fantastic! Once we have your approval, we’ll send you the production invoice + estimated shipping & customs invoice. We’ll get you a quote for a second handbag sample, with the changes you requested. You’ll need to write your changes to the first sample in your project. Whether you're 100% satisfied with your first sample or not, if you have made substantial changes to it, you may need to ship it back to us since it is the instruction manual for the manufacturer to create your private label handbag or make you a second product sample. Congratulations, Maker! You’re at the final step! Watch as the factory brings your Italian handbag design to life via your project Timeline, then, receive your products at your door, and start selling! Log back into your MV account anytime, and tell us when you’d like to reorder your handbag in different colors, different styles, or the same as the original design (trust us, you’ll sell out fast!). 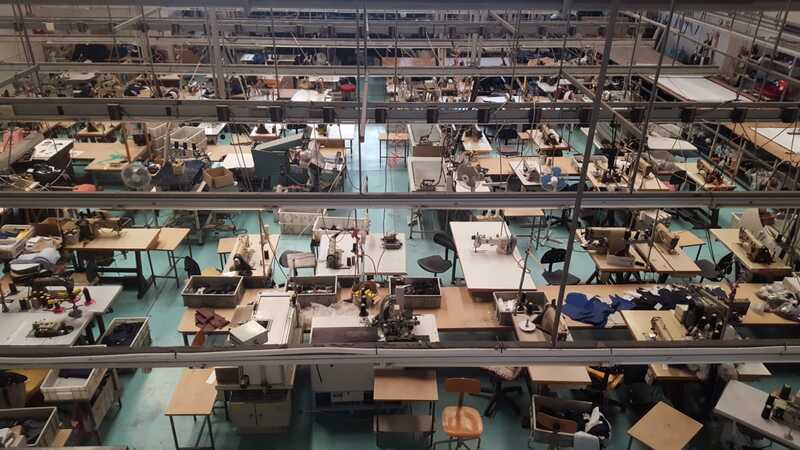 Production orders typically ship out six weeks after the factory receives your approved sample back in Italy. Don’t worry! Your Account Manager will handle all the logistics to get your production order from Italy to you. Now that you know all of the steps to design your handbag, what are you waiting for?! Connect with your personal account manager today in the platform and start making your dream handbag! Creating a Quality Shirt to Sell Italian-made shirts have come down the runways of Gucci, Versace, and other luxury clothing lines since they began. The Made in Italy reputation for quality makes these shirts beautiful works of craftsmanship, as well as design genius. Starting your own clothing line is exciting! But if you’ve never done it before, knowing how to get from point A to point B can be confusing and overwhelming. One of the first things you’ll need to do to start selling your own clothing line is to find a manufacturer who can make your designs at a cost that you can afford and in a quantity that you can actually sell to customers.